Catholic Charities of Northeast Kansas: assists individuals and families with immediate needs; provides support and education for families. 913-621-1504 Refugee & Migrant Services, Emergency assistance and Transitional housing, New Roots for Refugees at Juniper Gardens (with Cultivate KC). KC Metro Immigration Alliance: this newly-formed alliance is kicking off a year-long campaign to promote citizenship and civic engagement. They will be offering Community Navigator Training focusing on Citizenship, DACA/DAPA, and more. Check out their Facebook page to learn more. Immigration Professionals (Jessica Piedra’s office) is a non-profit immigration law firm that assists clients throughout the immigration and naturalization process. Services are not free but the flat fees are low. Visit or call (816) 221-2277 to learn more. The American Immigration Lawyers Association (AILA) Missouri-Kansas Chapter: contact your council ambassadors, find local immigration attorneys, and access policy and education resources. Contact your local Congressional office: . Every Congressman’s office should be able to offer support with difficult immigration-related cases and can often help find information or expedite processes. KS/MO Dream Alliance: KSMODA exists to serve the Kansas City Metro communities by advocating higher education for immigrant and minority youth, regardless of citizenship status. They collaborate with local efforts and with the national United We DREAM Network. Visit http://ksmodreamalliance.blogspot.com/ or https://www.facebook.com/KSMODA/ to learn more. Myrna Orozco De La O is a Kansas City resident and United We Dream Associate Director. Immigrant Justice Advocacy Movement: IJAM is the only immigrant led faith-based community organization seeking justice for immigrants in Kansas City. Contact IJAM for support with deferred action by emailing daca@ijamkc.org and visiting https://m.facebook.com/IJAMKC/. Catholic Charities of Northeast Kansas: to learn more about free citizenship classes through CCNK contact Tracy Fuller, tfuller@catholiccharitiesks.org, or call (913) 621-1504. The Kansas City Public Library: take practice citizenship tests online via Learning Express. You can access this resource at the Library or at home, with your Library card or eCard (get one here). Email the Refugee & Immigrant Services & Empowerment team at: refugeeimmigrantservices@kclibrary.org. To learn more about the library’s citizenship programs: julierobinson@kclibrary.org. KC Metro Immigration Alliance: This alliance promotes citizenship and civic engagement. They also offer Community Navigator Training focusing on Citizenship, DACA/DAPA, and more. Check out their Facebook page to learn more. Legal Aid of Western Missouri is a non-profit organization committed to providing high-quality, free, civil legal assistance to low-income and elderly citizens. Immigration Law is one of their main practice areas. Kansas City Public Library: Apply online for a Library eCard or come to the Central Branch or Northeast Branch for ESL classes. Contact the Refugee & Immigrant Services & Empowerment team to learn more about he library’s English language learner programs: julierobinson@kclibrary.org. Call (816) 701-3400 with any questions. Don Bosco Community Center: Assists families in the Kansas City area. Free English classes at their ESL School. (816) 231-2700. Donnelly College Community ESL Program: Classes at Donnelly are not free; however they are significantly less expensive than other classes. Any level welcome, but targeted at beginners. Immigrant and Refugee Academy focuses on mentoring and empowering young refugees through after-school programs. They meet at the Northeast Branch of the Kansas City Public Library. For more information, contact iandracademy@gmail.com or visit their Facebook page. Kansas City, KS 66102913.621.1504New Roots for RefugeesCatholic Charities, in partnership with Cultivate KC, has created the New Roots for Refugees program. New Roots builds on the strengths and experience in agriculture that many refugees already possess, helping them start their own small farm businesses growing and selling vegetables. Farming is a familiar livelihood that offers them some measure of self-determination and self-sufficiency, healthy food for their families, extra income, and a way to contribute to their new communities.Refugee Employment ServicesOur Refugee & Immigration Services program is committed to helping resettled refugees rebuild their lives. Securing a job is an important piece of that. Refugees possess a wide variety of professional, technical and labor skills, as well as solid work experiences. Most of all, they are eager to work. They want to regain financial stability for their families. Refugees are invited into the country by the U.S. government. They are issued a valid Social Security Number and are fully authorized to work upon arrival. They may apply for citizenship within five years. Hatch Staffing Services offers first -time employment for refugees in Kansas City. If you are hard-working and willing to do your part, this company can help. Call to reserve an interview time: 913-515-1823 or 913-856-7995. Ask for Hatch Staffing. Must bring two forms of ID to fill out an application. Bishop Sullivan offers basic necessities and the opportunity to become financially self-sufficient by finding employment. Services include a food pantry, household assistance, an employment program, services to the indigent elderly, and hot meals at their Community Kitchen. There are three locations in Kansas City. Community Services League provides emergency assistance, housing counseling, career coaching and employment assistance. (816) 254-4100. Full Employment Council is a one-stop destination for job seekers and employers in the Greater Kansas City area, offering employment services, skill development, job trainings, financial assistance, and more. Overview of Adult Career Services. Missouri Small Business and Technology Development Center in partnership with the University of Missouri-Extension, offer individualized business counseling for those interested in entrepreneurship. The SBTDC at UMKC is located at 4747 Troost. You can call 816-235-6063 or email umkcsbtdc@umkc.edu. 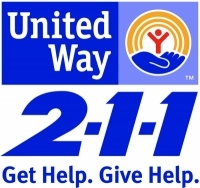 913.621.3445Our Kansas City, Kansas Emergency Assistance Center (EAC) is available to low-income individuals and families who need food or assistance with basic utility payments, housing, clothing or medical prescriptions.The help goes beyond meeting immediate needs. An on-site case manager works to identify solutions and resources that will lead to long-term change. Call for an appointment to learn what you will need to bring with you to receive services. All services are free and based on need – not religion, race or nationality. Samuel Rodgers Health Center is committed to providing high quality, compassionate and affordable healthcare for all. Samuel Rodgers offers a Sliding Scale Flat Fee for all medical and behavioral health services. Options available for individuals without documentation. Bishop Sullivan offers a food pantry, household assistance, and hot meals at their Community Kitchen. There are three locations in Kansas City. El Centro, Inc. is a non-profit strengthening communities and improving lives of Latinos and others through educational, social, and economic opportunities. Latino family services. Promotoras de Salud: promoting good health and linking community needs to local health services. Guadalupe Center: The Guadalupe Center is one of the nation’s first social service agencies for Latinos and has grown to be the heart of Kansas City’s Latino community. They provide early childhood, secondary, preparatory and adult educational programs; facilitating access to health and social services for all ages; promoting and providing Latino cultural enrichment events; sponsoring social activities that engage our diverse communities. (816) 421-1015. InfoPass: make an appointment with Immigration Information Officer. Languages available: Spanish, Haitian Creole, Vietnamese, Chinese, Tagalog, Russian, Portuguese, French, Korean, Polish, and Arabic. National Network for Immigrant and Refugee Rights for information on advocacy and policy work. (510) 465-1984. The Sylvia Rivera Law Project “works to guarantee that all people are free to self-determine gender identity and expression, regardless of income or race, and without facing harassment, discrimination or violence.” SRLP offers help to transgendered and transsexual immigrants on issues such as changing name and gender on immigration documents, marriage recognition, and applying for asylum based on gender identity discrimination.